Here is the Banner that I am using for this project...there are 6 in a pack! Hi folks, Lisa here with today's blog post for this weeks challenge theme, which is "Stampendous products". For this challenge I used Tando mini printer tray 152mm x 152mm with stand. I love these mini printer trays as they are so versatile to use and you can add anything and everything to it to decorate. First, I glued all the layers of the printer tray together apart from the flat back piece, then cut out areas of the frame to create a more open and abstract frame. I applied some DecoArt crackle paint along the frame edges in random areas and added some patches of DecoArt texture sand paste randomly. This was to add more texture to the frame. 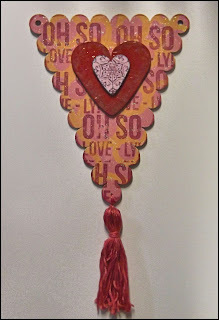 When it was dried I applied DecoArt Media Fluid Acrylic paints. 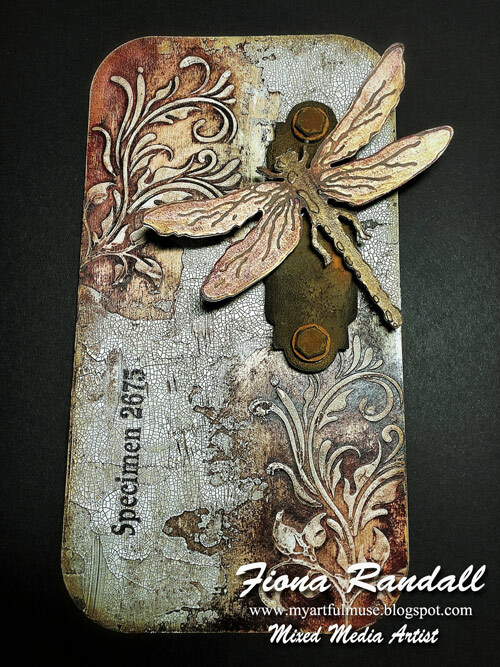 When the paint dried, I then added some of the Stampendous Fran-tage Embossing enamel from the bronze Fran-tage kit. I painted the background of the frame using a wash of the colours I used on the frame. 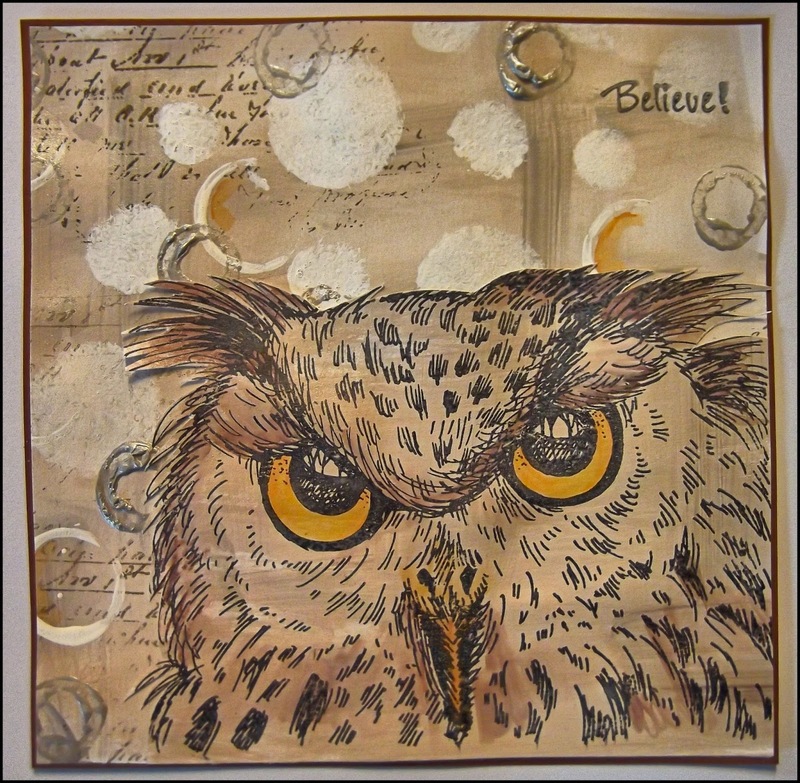 I stamped the Stampendous 'Look In To My Eyes' Owl rubber stamp on to some watercolour card stock with black ink. I coloured the image using watercolour pens. After colouring the image, I tore around it and washed the torn edges of the card with a watered down Paynes Grey so the colour of the white card wasn't too harsh on the background. 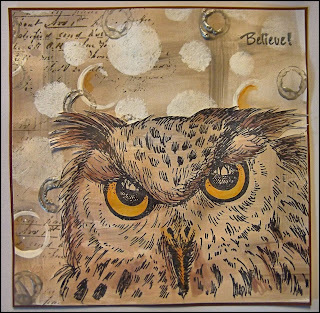 I adhered the owl image inside the background of the frame and adhered the frame on top. Everything I have used on this project is available on the Tando Website. If you would like to see more of my creations, pop along to my blog following the link here. Happy weekend! 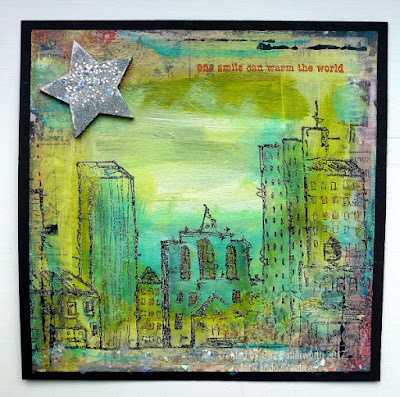 Hi Gez here, delighted to be sharing an art journal page with you this week using the [Urban - Cityscape] stamp, one of my favourites! And also some of the delicious Frantage glitter.. as the UK hits zero temperatures this week the weather has inspired my artwork once again! ... if only one smile could warm the world ! The Urban stamp was embossed with white embossing enamel from the white [Frantage Jewel Kit] and clear embossing powder to create a snowy effect.. Some of the gorgeous large flakes from the Frantage Jewel kit were also added to the page. Thank you for calling and leaving a comment if you get the chance. 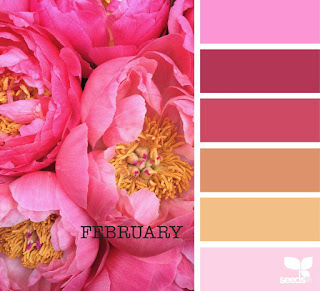 Hello my dear crafty friends and welcome to my last January Tando inspiration. This week we are sharing projects made with Stampendous products together with Tando products and my share is this pretty large art page. I need to say that I am a totally urban girl. I never liked the country side or too much green around and I adore the city skylines and all those millions of people around. So this page was made as my tribute to this urban Love and I made the title sayings: I am an Urban Queen" and added some sticker saying to say more, like " this is my lifetime adventure" and " timeless everyday inspiration". 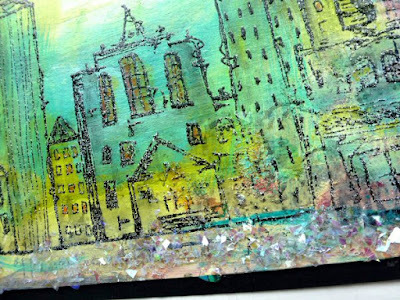 The art journal page was made over thick white cardstock, covered with gesso. 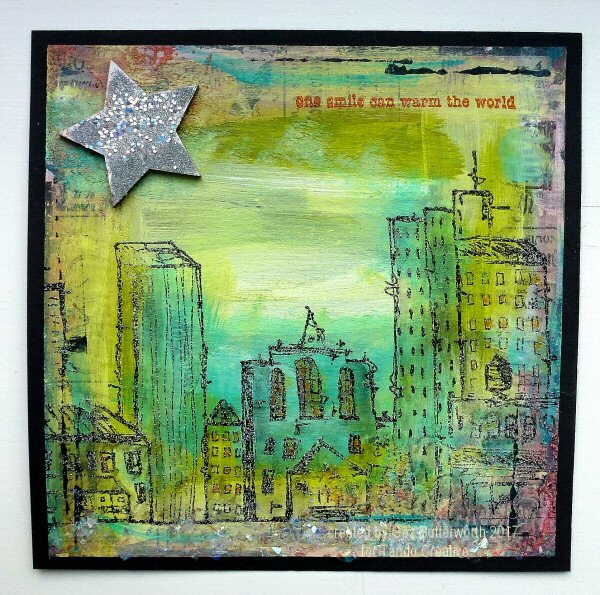 Then I used Stampendous Urban Cling stamp set stamp set and first the stencil that is in this set. I added random spots with this stencil and Crackle paste over the page. The city skyline was stamped over the page with white DecoArt acrylic and as usual, white on white is not much seen. The green houses that are seen were stamped with the background of the foam stamp and the cling stamp and then heat embossed with clear powder and hand cut to be added to the page. The walls were cut from Tando Grid Rectangle chipboard and painted with white acrylic paint. The title was made with Tando Alphas letters over Tando Speach Bubbles pieces and the whole page, titles included was misted with a mix of several mists. 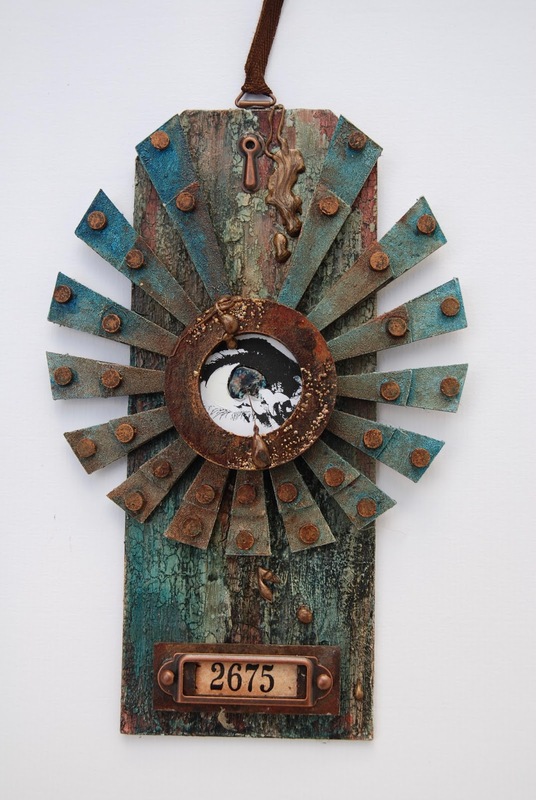 The last Tando piece added is this key piece and it means that this Queen got the city key for her own use. I really hope that you like my Urban inspiration and see you again in a couple of weeks. 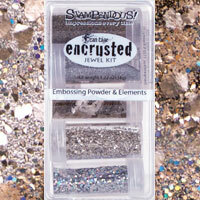 from #Stampendous along with their embossing powder. along with the numbers from skuldoggery stamp set. Next was prussian blue hue then a spray of copper. Finished off with gloss varnish and the copper fixings. 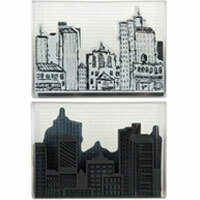 Other:- Tando creative Andy skinner Tag, Stampendous and Deco art products available through Di at Tando. Stampendous products used :- Andy Skinner Handle with care rubber stamp, Gold & Clear chunky embossing powder. 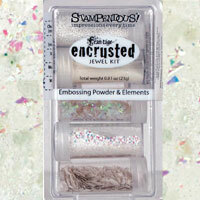 Stampendous Mixed media white paper. Deco Art:- Media black & White gesso, weather wood, crackle paint, liquid glass, acrylic paint in the following colours Prussian blue hue, Quinacridone Gold, Paynes gray, raw umber & gloss varnish. Other:- black card , Hair wax, Lindy's moonshadow mist spray Incandescent Copper, Treasure Gold Spanish Topaz & copper coloured brads key hole, & name plate. Hi friends! 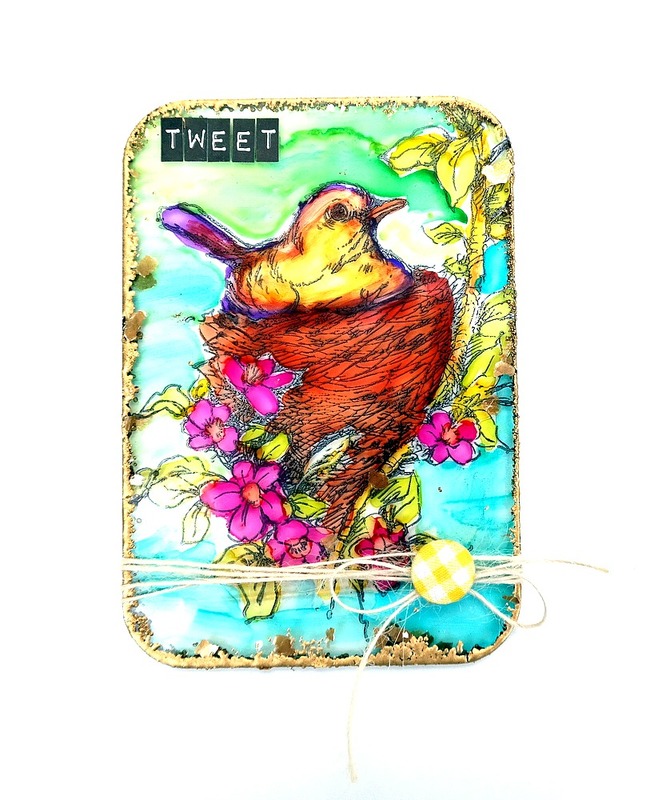 Dana here sharing the Acrylic Mixed Media Board I altered for the Stampendous theme this week. Tando has recently expanded their product line to include MDF and acrylic pieces, so be sure to stop by the Store and check out the offerings if you haven't done so already. 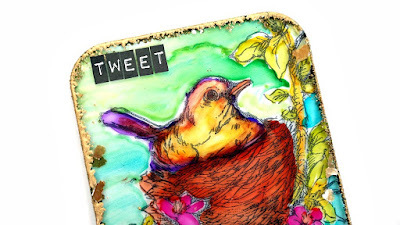 I used the Stampendous Nestled Bird Wood Mount Stamp (R158) with Colorbox Beyond Black Surfacez Ink, which is a fast-drying pigment ink designed to work on slick surfaces. I heat set the stamped image and then added color with alcohol ink. 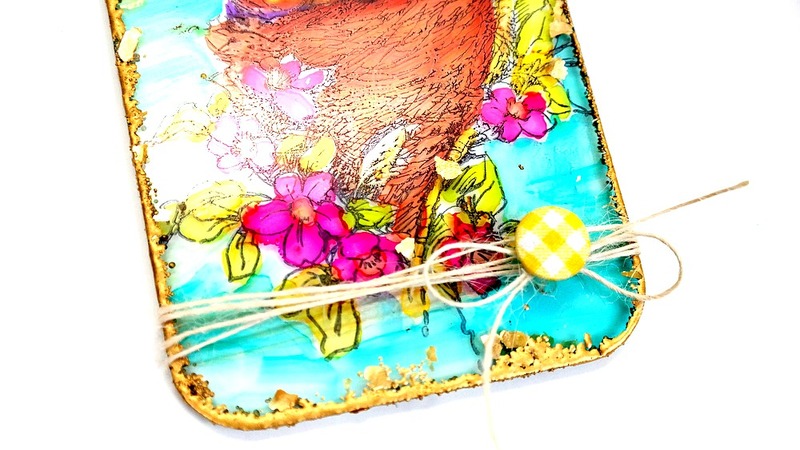 After the image was colored I embellished the edge of the board with Stampendous Spoonful of Gold Dust. I wasn't able to heat the Gold Dust from underneath to coat the edges of this board, so I used some Top Boss Watermark Ink to help hold the product in place while I applied heat. 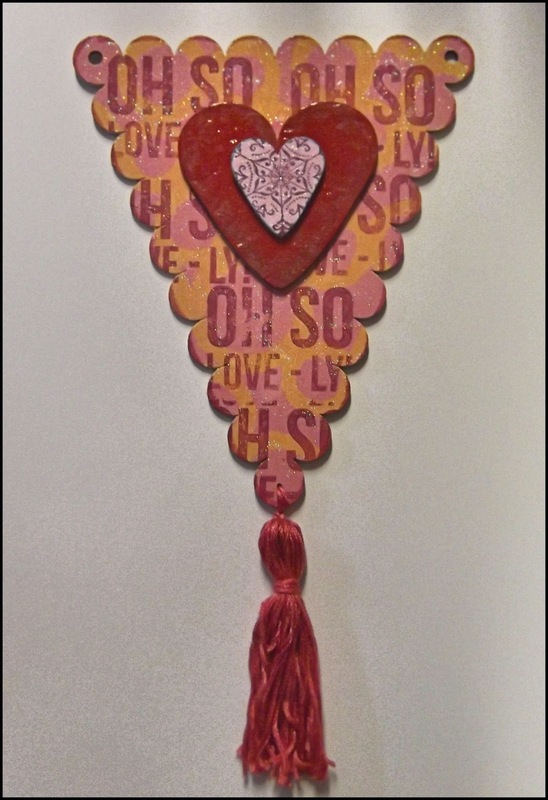 I finished this piece with a sticker sentiment and some twine. You can find the acrylic I used for this project, and a wonderful selection of Stampendous products, in the Tando Creative Retail Store. We'd love to see your creativity! Share your work with us in Tando's Creative Zone on Facebook. Hi! I am kicking off another lovely week, this time using the Stampendous stamps that we stock. I have made a card using the amazing owl stamp. To start I painted a sheet of A4 card with DecoArt Titan Buff and a little Paynes Grey. The owl was then stamped and roughly cut out before some Titanium White was stencilled through the *random circles mask* and some more circles added with some bottle lids. Back to the owl - I added some watercolour to the eyes and the feathers here and there to add some depth before fussy cutting the owl out. This was stuck onto the now trimmed piece of decorated card before attaching to the card blank. Hi folks, Lisa here with today's Tando post. This weeks theme is "Anything Goes". I used the Printer Tray Style Clock from Tando and gave the different elements a coat of DecoArt white gesso. I used Andy Skinner's 12" x 3" Distressed Digits mask in the centre of the clock front, and applied DecoArt Media White Modeling Paste through the mask. I then painted the background of the clock with DecoArt Media Fluid Acrylic Colbalt Teal and used Green Gold on the front frame of the clock. On the background of the clock I used the Nathalie Kalbach 'Kaffee Klatsch' rubber stamp set from Stampendous and stamped on to the background using glue. 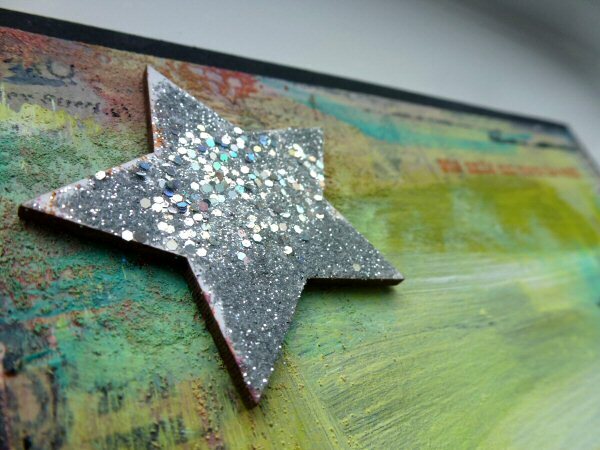 I then added some gilding flakes to give the background some depth and texture along with some sparkle. I then used the Andy Skinner Industrial rubber stamp set from Stampendous to stamp the crackles using black ink. 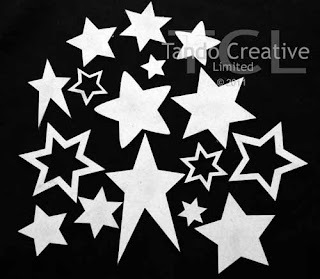 All the products I have used are at the bottom of this post and are all available on the Tando Creative Website. If you would like to pop by my blog, the link is here and I would be happy to see you there.